Imagine joining in on the legendary Marvel action with this towering and awe-inspiring 12-inch Spider-Man Legends figure from the Marvel Legends Series. 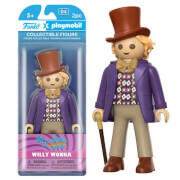 Featuring 30-plus points of articulation, alternate hands and accessories, and premium, detailed styling, this Legends figure is an epic addition to any Super Hero and Super Villain collection. This 12-inch Spider-Man Legends figure features over 30 points of articulation, allowing collectors and kids alike to set it up in epic poses and imagine Spider-Man swinging into a legendary battle. Along with 30-plus articulation points, the 12-inch Spider-Man Legends figure features premium deco and detailed styling, with a comic-inspired design that collectors can recognize and love. 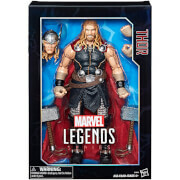 With the Marvel Legends Series, heroes are more than just beloved; they’re legendary. Peter Parker swings into action as the web-slinging Super Hero, Spider-Man! This Spider-Man Legends Series figure comes with alternate hands, alternate heads, and detailed Spider-Man accessories that allow versatility in play and in presentation. Combined with premium design, this Spider-Man figure is an elite representation of Spider-Man, a hero whose expert web-slinging is matched only by his impressive wit. 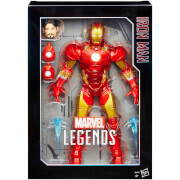 The Marvel Legends Series features detailed design, multiple points of articulation, and epic characters that let collectors and kids alike imagine the ongoing action of the incredible Marvel Universe. This 12-inch Spider-Man Legends figure is just the beginning of an amazing collection of Marvel Legends Super Heroes and Super Villains!